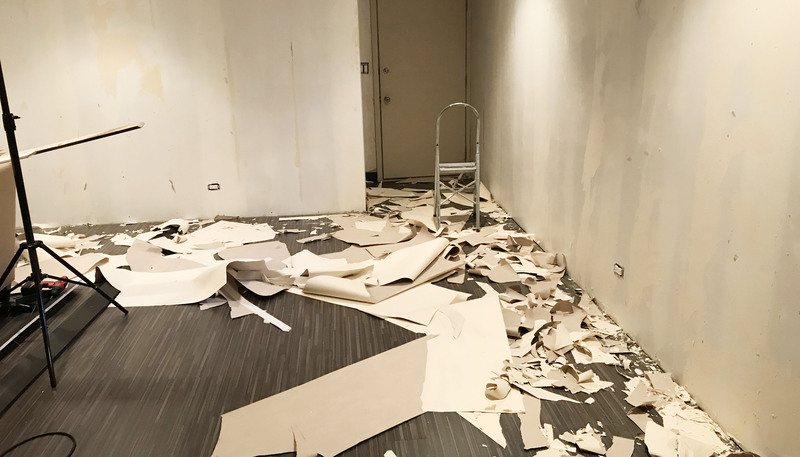 Phase One of the Studio Redesign has begun….the worst part. CLEANING IT OUT! Heres where we are today. Come back to view our progress! Wallpaper is down! 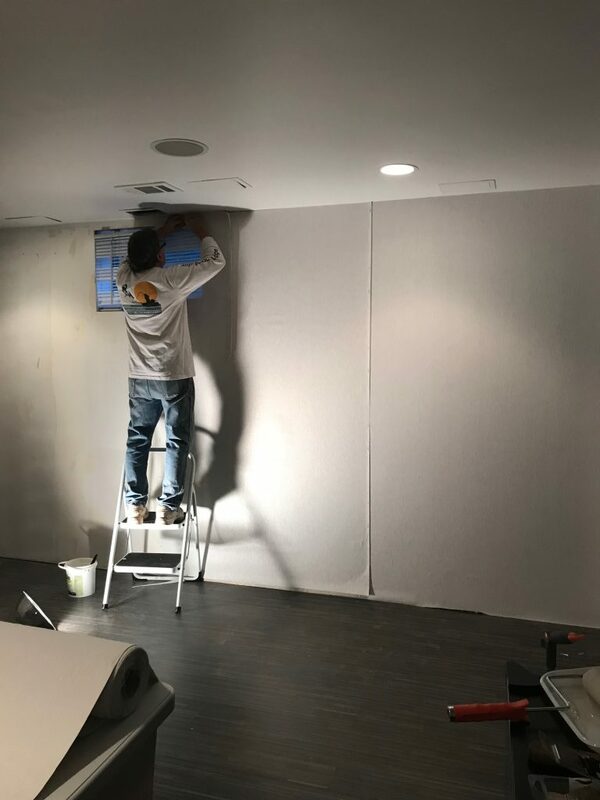 Time to prep walls for white vinyl wallpaper! 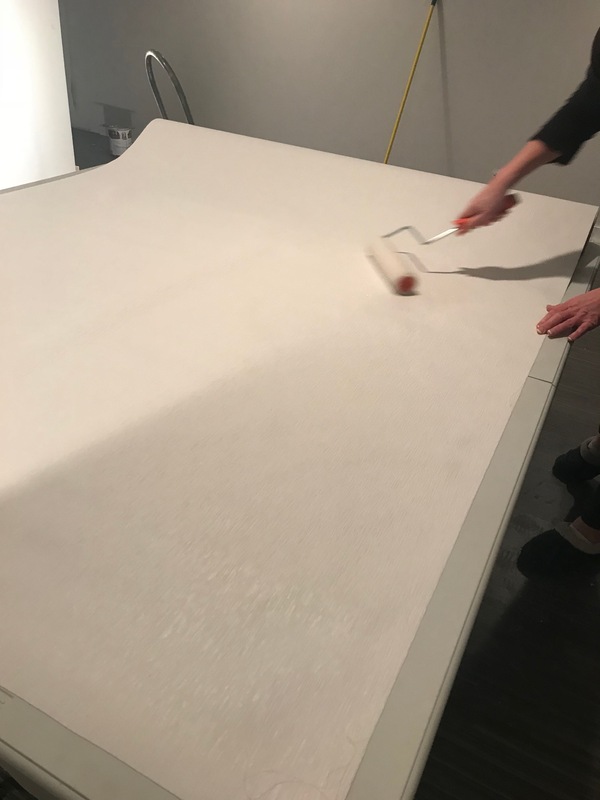 Hanging the heavy vinyl paper….ugh! Best hubbie ever! Wallpaper complete! Let’s fill the space back up! « Tis the Season for a Treat!